Lynn Naismith gave up the job she loved when she married Ed, the love of her life, but it was worth it for the happy years they enjoyed together. Now, ten years on, Ed has been diagnosed with early-onset dementia, and things start to happen; things more sinister than lost keys and missing words. As some memories are forgotten, others, long buried, begin to surface … and Lynn’s perfect world begins to crumble. Over her eighteen-year writing career, Louise Voss has had eleven novels published – five solo and six co-written with Mark Edwards: a combination of psychological thrillers, police procedurals and contemporary fiction – and sold over 350,000 books. 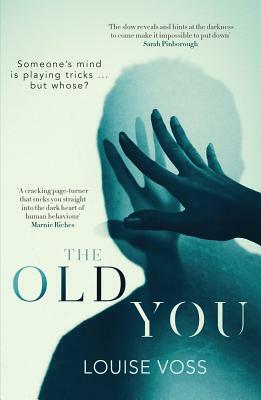 Her most recent book, The Old You, was a number-one bestseller in ebook. Louise has an MA (Dist) in Creative Writing and also works as a literary consultant and mentor for writers at www.thewritingcoach.co.uk. She lives in South-West London and is a proud member of two female crime-writing collectives, The Slice Girls and Killer Women.